Yes you can buy happiness! Due to phenomenal demand you can have the hilarious Dave Young perform at your wedding. Refreshing, hilarious and totally different entertainment. Make your wedding a day that no one will forget with this award winning comedian and you’ll laugh all the way to the altar and beyond! 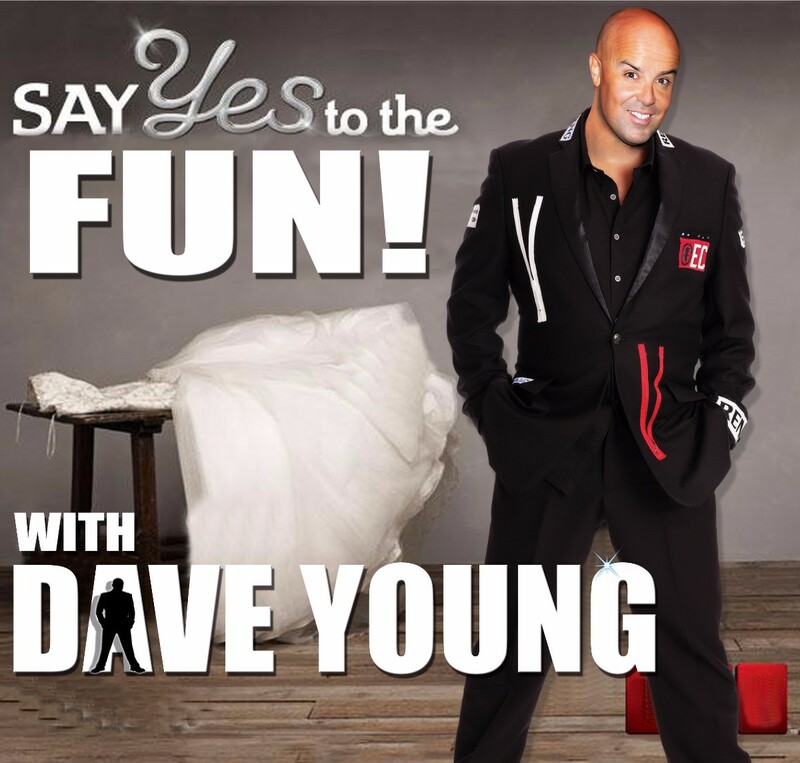 Dave Young makes your big day extra special by bringing your guests together with side splitting laughter, and hilarious audience participation. Watch out, you might see the best man or groomsmen performing and participating in some crazy comedy routines as well. This is the best decision you will ever make. Your guests will have something to laugh about and you’ll be the Couple of the Year. 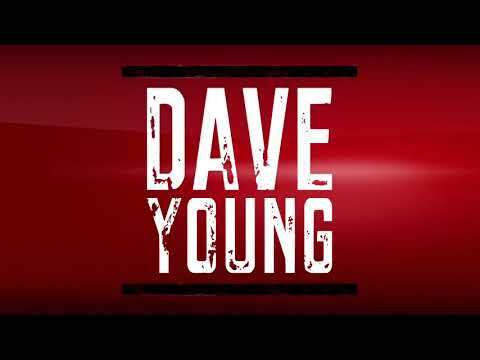 Dave Young’s live show will have both sides of the family laughing together as one and that’s what it’s all about, love & laughter? Turn a wedding into the wedding everyone will be talking about for years to come………Yours! “I’ve been asked to perform at a lot of weddings over the years and I’ve loved all of them – there is nothing like seeing all ages of people crying laughing and enjoying themselves. As ‘The Wedding Comedian’ it’s my job to bring together both sides of the family along with friends and colleagues and unite them all in collective laughter… every wedding can be a little unnerving especially if you’re at a table with people you may not know, but after my show, everyone is revitalised and ready to let their hair down, even the bald ones like me! Dave Young’s numerous television credits include: Weddings by Franc, The Late Late Show, The Saturday Night Show, The Miriam Show, The Morning Show, Celebrity ICA Boot Camp ,The Voice of Ireland, Dave Young’s Young at Heart TV Show & more. 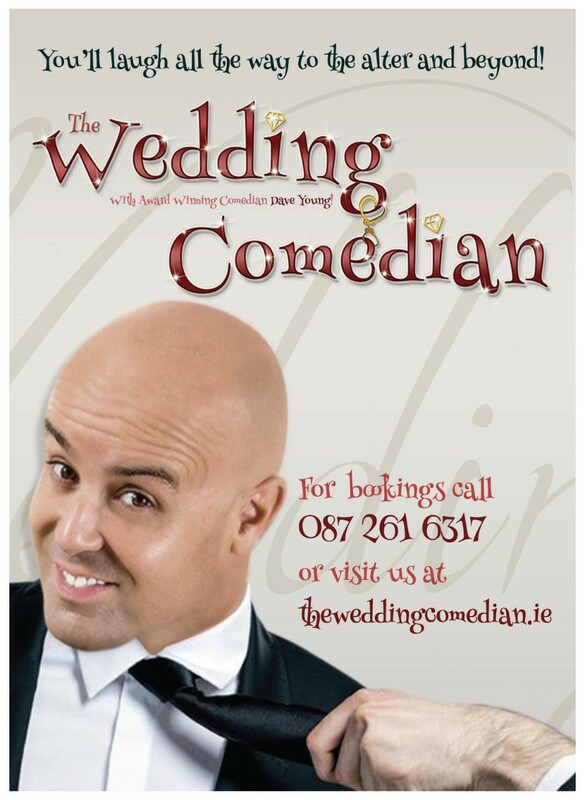 DAVE YOUNG - The Wedding Comedian is a comedian from Wicklow servicing weddings throughout the local area including Wicklow, Wexford, Dublin, Kildare, meath, Carlow. 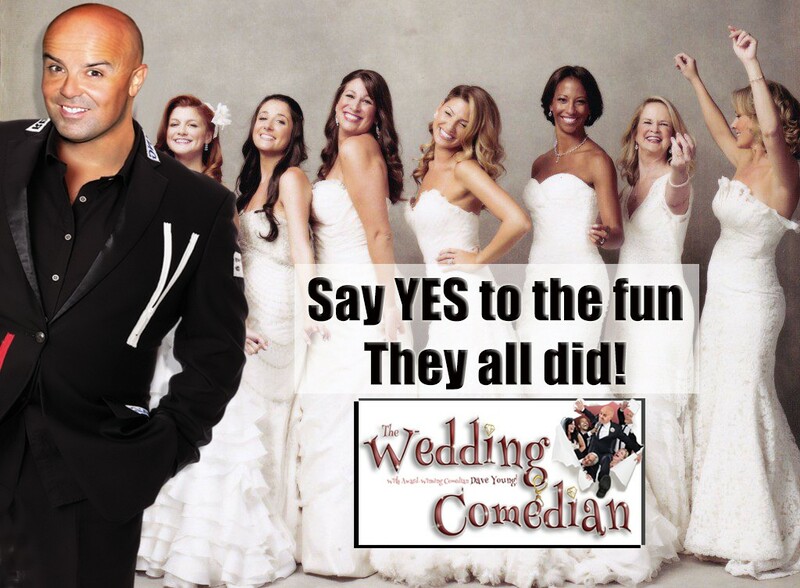 DAVE YOUNG - The Wedding Comedian is a brilliant comedian who has been part of the wedding industry for many years specialising in making your big day extra special. What can i say... this man is a legend! 127 guests - half of them not knowing the other and Dave was the perfect choice to bring us all together. We had just finished the meal and everybody was in that lull before the band kicked in and in walks Dave, mic in hand and within 1 minute had the room in stitches! I was a little nervous at first thinking 'would it work?' but have to say it was worth every cent - exceptional value! Maybe the best compliment myself and my wife Linda can give is to say that our wedding video is over an hour - stat to finish and Dave's show takes up about 30 minutes of it! He had the families interacting, singing, dancing and had some beauties of family stories which he wove into the show - it was a truly special day and Dave helped it along nicely! If you are looking for that 'wow' factor and if (like me) you feared the post dinner lull then this is the man for the job! 100% brilliant!!! It was great sharing the stage with Dave at Kong Castle,he had the wedding guests and ourselves in stiches! There's only one man to make everyone laugh at any wedding, and that's Dave Young! Awesome, I’m still laughing and man, he can hold a tune too!